I wouldn’t call it “outrage,” but deep within I’m down, restless, antsy, tired. I think maybe you are too. I visited mom today, and I struggle with this role reversal, this constant wondering if I am serving her well. Since mom fell, we hired home health care to assist with her personal needs. The quality of care, I’ve discovered, depends on the person working with her and varies greatly, as this particular agency has difficulty in finding a consistent caregiver. This morning, I was saddened and concerned with what I observed. When I left, the word “powerless” came to my mind. I’m not one to complain. If I order a salad without mushrooms, and it arrives with mushrooms, I will pick through my salad rather than send it back (I see this as a tendency to shrink back, something I’m not proud of). But when competent care for a loved one is what’s not being delivered, it’s a much different matter, and I have to speak. And so, I am learning – slowly, reluctantly – to “complain,” to make the phone calls, to be that client, to give words to something that isn’t right. Sometimes, I admit, this feels like an imposition – it cramps my style, it goes against the grain of who I am. Speaking up, for me, is uncomfortable. But today, I realized afresh that this situation isn’t about me at all. It’s about my mother, and her right to be treated with kindness and dignity. If I have to speak up, I need to remember that I am giving words for her as much as I am speaking words against someone else’s lack of care. The ladies at the place where mom lives always say things like, “Oh, you have such a good daughter.” And I wince, because really, I can very much be that clanging gong in 1 Corinthians 13 who goes through the acts of service without the purity of love in my heart. And every day, I must ask Jesus to make my heart a receptacle into which He pours His love. I am a needful soul who deeply wants to get over herself and learn what it looks like to reflect the One who was our advocate when we were powerless. And I am not alone. Especially today, I see it in us, a common and visceral reaction when people are stripped of dignity and are left to wonder if they have any worth, in the eyes of a society that is most interested in applauding and preserving the attractive, self-reliant, young, and strong. I am sad when I observe, in many ways and degrees, how the world sees human worth in conjunction with externals. Those who are capable of contributing to society enjoy an elevated degree of status, according to the world’s standards, while the weaker members are marginalized. From the incarnation to the Cross, Jesus identified with the vulnerable, and His Gospel defines human dignity. Our natural attraction to power is reframed at the Cross where Christ submitted Himself to weakness and death so that we may be reconciled to Him and our brothers and sisters as well. And we must speak up. I want to be part of the response to the inequities. Like you, I want to speak against a cultural perspective that places people along a spectrum of power and worth. Not everyone is powerless but it’s obvious in our society than some have less power than others. What would our world be like if this were not so? Perhaps it would look like neighbor being for neighbor, regardless of zip-code or ethnicity. Men treating women like vessels of honor instead of pawns for pleasure. Women building each other up rather than backstabbing. Elderly persons participating in community rather than being cast to the margins. Refugees receiving welcome. A child who feels safe in a home. Yes, sometimes we must speak against, but let us actively look for ways to speak for. This doesn’t have to involve words at all. Sometimes it looks like listening. Sometimes it means looking away from a phone to meet one another eye to eye. But may we remember that our tongues possess power, like a ship’s tiny rudder. Let us not give in to the lie of insignificance, for simple, heartfelt words or actions can steer a fellow traveler in the path of hope where she is no less than fully valued by Jesus, the all-powerful Lord of all. Categories: Speaking Life, Uncategorized | Permalink. On Thursday, I enjoyed posting and scrolling through back-to-school pictures on Facebook. But between the images of kids with fresh clothes and big smiles, I saw a picture of a young boy unknown to me. I did a double-take, then I squinted to figure out what I was seeing. Because what in the world?? What is he covered in? Dust, ashes? Why is blood smeared over half his little face, matted in his hair and eyelashes? The child sits alone with little hands folded in his lap and with face expressionless. Doctors who treated the boy said that he never cried. Numbly, he looks as if nothing out of the ordinary has happened. He is Omran Daqneesh, a five year old victim of an airstrike in his hometown of Aleppo, Syria. His rescuers leave him in an ambulance, where this picture was taken, so that they can save additional children. Relieved, I learn that Omran was treated and released from the hospital with no signs of brain injury. His parents and 3 siblings reportedly survived as well, pulled from the rubble of their apartment building before it collapsed completely. The Syrian Civil Defense, a volunteer lifesaving organization, saved the family’s life. Bibars Halabi is the volunteer who carried Omran to the ambulance. As I search for articles about Omran and his family, I learn that Aleppo, their hometown, has been in the news for years. Part of the Syrian city has been held by rebel groups since 2012 with the recent government siege, backed by Russian air power, cutting off many supply routes. As vital necessities diminish, humanitarian aid is blocked. More than 6,000 people, mainly civilians, have been killed or injured in 80 consecutive days of fighting in Aleppo. I have never heard of Aleppo. I’m grieved by this. I didn’t know that just last week, the remaining 15 doctors in the city of 300,000 sent a letter to President Obama to appeal for intervention so that medical supplies and food can offer relief to the suffering civilians. Honestly, I can’t understand or explain the Syrian civil war, although I know that millions have fled for their lives, but for most of them and for those still in Syria, there is nowhere to go. I remember it’s been almost a year since the world was shocked by the image of Aylan, a Syrian boy whose drowned body was recovered off the shores of Turkey. Aylan and Omran – yes, you are human beings, divine appointments, made in the image of God, held in His heart and precious in His sight. So much more than another victim caught on camera. My heart is filled with remorse and regret for the way I forgot you. I didn’t pray. I guess I reasoned that the situation in your home country is “complicated” and “political” and I didn’t know how to pray. That’s garbage for an excuse. I am so sorry. Omran, if your precious little face looks numb to suffering, perhaps it’s because my heart has been numb to your suffering. May this day conclusively close the door on my ignorance, apathy, forgetting. Reader and friend, if you are like me, perhaps you also find it overwhelming to articulate the tremendous needs in our hurting world as you try to pray. May we remember that the power of prayer is in the One who hears it and not in the one who says it. May we simply and humbly and faithfully come and choose to not forget. – courageous volunteers like Halabi and the 15 doctors who are risking their lives for every Omran. – all of us, a call to action in giving and praying and remembering. We can all do something. Thank you for reading and remembering with me. If you can share any additional prayer points or ways to help, please include in the comments. Categories: Body of Christ, Send Us Out, Speaking Life, Uncategorized | Tags: Aleppo, Compassion International, Doctors Without Borders, Omran Daqneesh, Syria, World Relief, World Vision | Permalink. Right in the middle of the week, you did it. You set this weary heart of mine on a new course. Because when you surrendered your wadded-up bills and said, “I want to give,” I saw in you the graciousness and generosity that the Living Water pours into our hearts. And sweetheart, after walking a long, dry road of serving and caregiving for a while, I was thirsty. When you were smaller, you found it very hard to give, as most children do. But I see you growing into a young woman, earning your own babysitting money and engaging with a needful world across the street and across the sea. It’s Jesus in you; He’s giving you this compassion as a torch for your generation, and I pray that you will shine the Light of Christ in dark places. 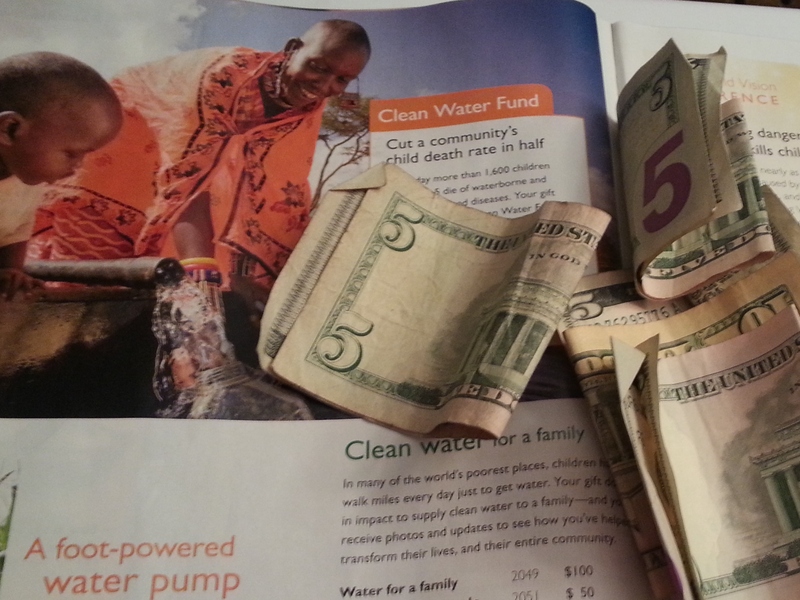 When you saw a need and presented your offering, drops of Living Water fell soothingly on dried-out clay of my heart. Could it be that caring is contagious? I think yes. And so, my girl, I’m grateful that you interrupted my pity-party-of-one and infected me with a renewed compassion to knock out the complacency and entitlement that’s running viral in our world. Thank you, daughter, for caring. 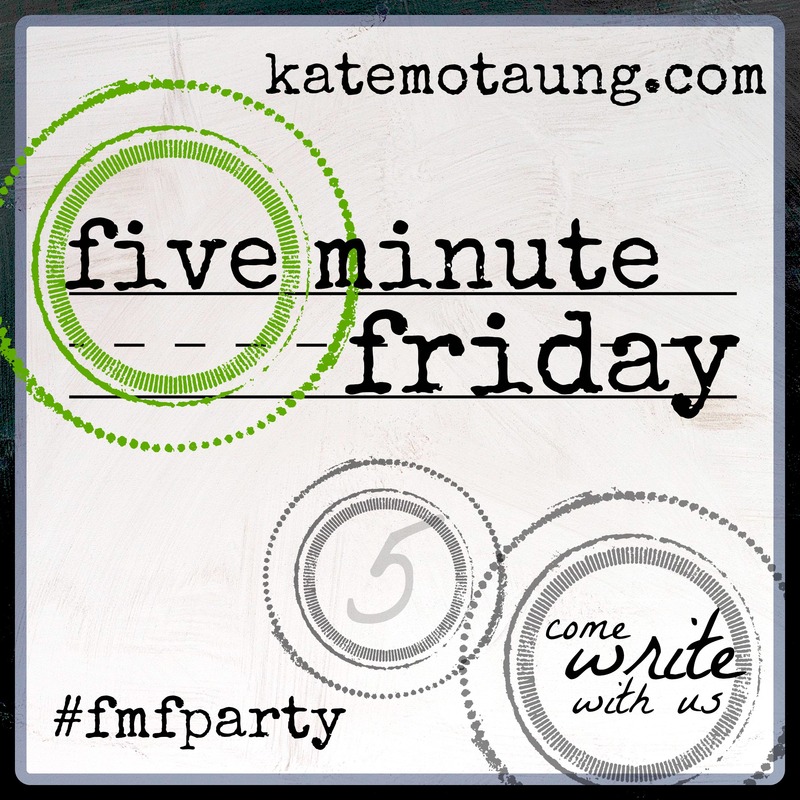 Kate Motaung hosts Five Minute Friday, a weekly gathering of writers who write for 5 minutes on the same prompt, this week “care.” Find the community and their fast & faith-filled words here. 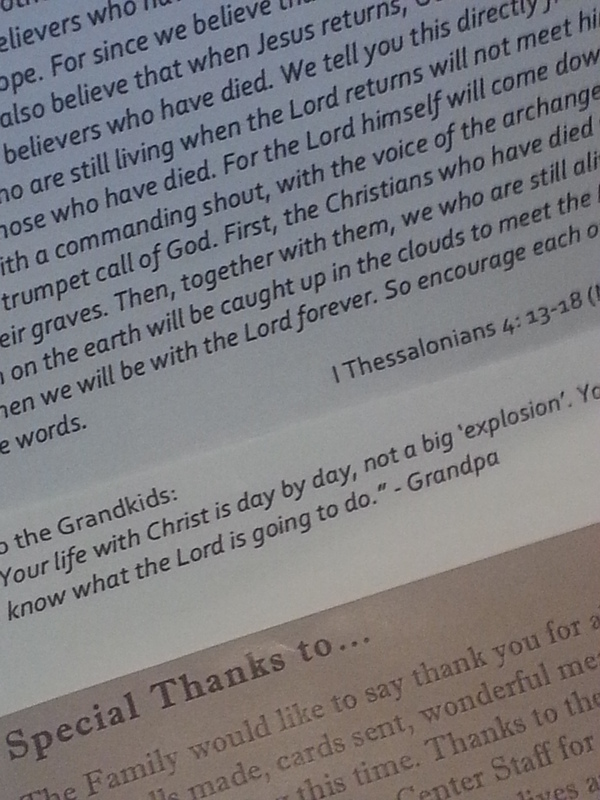 These words from a beloved grandfather, printed on the program of his funeral service, are meant to remind his grandchildren that a life in Christ is lived through daily faithfulness. As I’ve thought about these words this week, the Holy Spirit persistently whispers “perseverance” to my heart. But life in Christ, as I experience it at the moment, is more routine than remarkable. This string of recent days is empty of “explosions” – I haven’t experienced any jaw-dropping, glorious fireworks nor outbursts of crisis, fear, or despair. Yet the past few months have reminded me that it takes one phone call to make the next moment/day/week/month anything but ordinary. And while a crisis may seemingly bring my routine to a screeching halt, the truth is that life keeps moving forward. This reality was especially vivid to me right after my father died. While riding in the car, I remember observing strangers out for a walk or at work in their yards and wondering “how can they do that?” It was jarring to realize that the world had not actually stopped. Oh, I know it seems incredibly self-absorbed to think that my broken heart would suspend the world for a time, but shock and grief are like that. Forward motion, as the way of life, seems incongruent with mourning. But with time it helps the healing process. Day-to-day will continue somehow, someway. My husband is training for a race, and he prepares for different phases of the route. There are times when he will keep pace – meaning that he’ll concentrate on moving forward while preserving his energy for the duration. Then there are moments when he’ll have to push harder – perhaps against a headwind, or up an incline, or down the home stretch when his energy is almost spent. If I picture my life this way, I am keeping pace – for the time being – moving forward, day by day. Seems simple, but days like these take consistent focus and re-focus. My mind can easily wander from my end goal. I become distracted by another path. The temptation to run ahead of my Pace-Setter is enticing. A critical, complaining spirit saps my energy. Sometimes I get discouraged when the route takes turns that I didn’t expect. And those darn entanglements are hurdles that hinder my stride. “I have fought the good fight, I have finished the race, I have kept the faith. Now there is in store for me the crown of righteousness, which the Lord, the righteous Judge, will award to me on that day—and not only to me, but also to all who have longed for his appearing” (the words of Paul). And this morning, as I’m keeping pace, I’m thinking about those I know who are in the midst of the uphill climb. In the past week, I’ve spoken with friends whose path is made steeper by depression, uncooperative people, financial worries, chronic health issues, job loss, unexpected delays, a startling diagnosis, caregiving demands, strained relationships, and disillusionment. Friends, my heart wants things to be made quickly right for you. But our Father is so much wiser and more loving than I could ever be. He has higher goals for you and me. I don’t know how or when or if He’s going to alter or fix your circumstances but He has promised to “author” and “finish” your faith. He will initiate and complete whatever it takes for you to reach the finish with the fullness of His glory. As I’ve been thinking about perseverance, you come to mind. So, keep running – one foot in front of the other. Let the Holy Spirit permeate your lungs and energize your spiritual muscles. Ask Him because He promises to empower you. “Perseverance means more than endurance— more than simply holding on until the end. A saint’s life is in the hands of God like a bow and arrow in the hands of an archer. God is aiming at something the saint cannot see, but our Lord continues to stretch and strain, and every once in a while the saint says, “I can’t take any more.” Yet God pays no attention; He goes on stretching until His purpose is in sight, and then He lets the arrow fly. Entrust yourself to God’s hands. Is there something in your life for which you need perseverance right now? Maintain your intimate relationship with Jesus Christ through the perseverance of faith” (Oswald Chambers). “Consider it pure joy, my brothers, when you face trials of many kinds, for you know that the testing of your faith develops perseverance, and perseverance must finish its work in order for you to be mature and complete … Blessed is the man who perseveres under trial; for once he has stood the test, he will receive the crown of life which the Lord has promised to those who love Him” (James 1: 2- 4; 12). “Running with patience is a very difficult thing to do. The word ‘running’ itself suggests the absence of patience, or an eagerness to reach the goal. (Running with patience is) the power to continue working after a setback, the power to still run with a heavy heart, and the power to perform daily tasks with deep sorrow in your spirit. This is a Christ-like thing! Dear Son of Man, this was Your kind of patience. It was both waiting and running at the same time, waiting for the ultimate goal….” (Streams in the Desert, October 30). “For still the vision awaits its appointed time; it hastens to the end—it will not lie. If it seems slow, wait for it; it will surely come; it will not delay. Behold, as for the proud one, his soul is not right within him; But the righteous will live by his faith.…” (Habakkuk 2:3-4). “Brothers and sisters, I do not consider myself yet to have taken hold of it. But one thing I do: Forgetting what is behind and straining toward what is ahead, I press on toward the goal to win the prize for which God has called me heavenward in Christ Jesus” (Philippians 3: 13 – 14). Dear friends, Be strong and let your heart take courage. I press on with you, with gratitude for your example, with hope that comes from the Lord, and with the finish line in sight. We “never know what the Lord is going to do” but we will trust in the victorious God that He is! 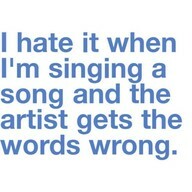 Recently I saw a random quote on Pinterest that could apply to my girl: “I hate it when I’m singing a song and the artist gets the words wrong.” My daughter could have posted that one; it’s often really cute but true – she creates original interpretations of song lyrics. While I was amused with the Caroline version, it struck me that her lyrics were just as true! At the time, my husband was preparing for a two-week mission trip to Asia, and the “what-ifs” almost overwhelmed me. But in this moment in the car, Caroline’s unique rendering of “Forever” reminded me to trust in God’s goodness and faithfulness in whatever was to come. In current slang, “what-eh-ver” denotes a flippant or anything-goes attitude. But is life really so carefree? The fact that God is able to do whatever He pleases should inspire our worship and faith. He is both completely sovereign and completely good. He shows us through the writings of Isaiah. In chapter 40, the Word expresses the incomparable greatness of our God. Isaiah 40:10 says, “The Sovereign Lord comes with power and He rules with a mighty arm.” In the following verse, the mighty God is pictured with mercy: “He tends His flock like a shepherd; He gathers the lambs in His arms and carries them close to His heart.” (v.11). God is strong and He’s my shepherd. God is power and He’s my peace. Categories: Standing on the Promises, Thoughts on Faith, Uncategorized | Permalink. Categories: Marriage, Uncategorized | Tags: Philippians 2 | Permalink. So you don’t like chocolate. Big deal, right? You’ve been a pretty good sport when faced with a lot of light-hearted teasing about this; and true, some of it has come from your own mother. – I mean, how is it that we share DNA? But seriously, honey, I really am sorry. For a long time, I thought that you didn’t like chocolate the same way that people refuse Brussels sprouts (having never actually tasted Brussels sprouts). And I thought when you eventually realized the error of your ways that, along with chocolate, a whole new world of green beans, spinach, and cauliflower would open up to you. But as you’re growing up, I’m starting to realize that your dislike of chocolate has become something that makes you, you. Perhaps, you’re learning, in a small way, that your choices become a part of who you are, and it’s okay to own your differences. Sometimes your choices are based on your preferences (like Starburst instead of Hershey’s kisses), and that’s fine, but as you grow up, you’ll find that the most important choices are based upon your convictions and your standards. In a world that follows the masses, these choices might be the ones that single you out. It’s one thing to know what you like in a dessert and another thing to know what you like in a friend. There are few decisions in life that will influence you as much as your choice of friends. The preteen years, especially for girls, are known for all sorts of relational drama, and you can choose to play the parts or not. As you’re growing up, you’re making more of your own choices, and that’s the way it should be. But for now, your Dad and I are going to keep a close watch on your choice of friends. It’s our God-given authority and responsibility as your parents to steer you in the direction of positive peer pressure. Peer pressure is basically the desire to fit in with others, which is not necessarily a bad thing. God designed us to be in relationships and community with people. Kids, teens, and adults learn interpersonal skills in order to navigate the world of relationships. We learn how and why to be polite and conform to basic societal norms; for example, people wear regular clothes (not pajamas) and cover up their underwear when they go to the store. Anyway, Daddy and I want you to be a friend and to have friends who positively influence one another. Healthy peer pressure motivates a person to engage other people in respectful and meaningful ways. It can bring out the best in yourself and your friends. Positive friendships are established through authenticity, acceptance, and intention. What does this mean? It means that you be yourself and spend enough face-to-face time with your friends to know and value them for who they truly are. Face-to-face time means looking at each other instead of just being together and looking at your tech gadgets. In positive friendships, you commit to also looking out for one another. You actively look for ways to support and cheer for each other. There’s no competition or jealousy or pressure to conform to any behavior or standard that goes against the truths and values that each of you stand for. Your relationships are going to change during these years as you seek out the girls with whom you want to identify. During this time, you need to remember your identity. You are a child of God, set apart, completely loved, and chosen by Him for a beautiful purpose. Daddy and I pray that you will identify with other girls who are grounded in the same identity and that together you will love Jesus and determine to honor Him in every way. Does this sound too spiritual for a group of preteen girls? Not at all! I trust that my Starburst-loving girl has the character and courage to be different and live out the pure and purposeful calling that God has placed on your life. The enemy wants to distract you from this high calling; he wants you to conform to anything apart from Christ, and one of his favorite strategies is to preoccupy girls with their outward appearance. It’s becoming increasingly true in our culture that image is everything and integrity is nothing. But remember that God’s purpose in conformity is that you will become (and you will influence others to become) who you are truly created to be – an image bearer of God. His is the only image that truly matters. It is purity and goodness, grace and truth, joy and gentleness, justice and mercy, strength and patience. When girls help one another bind these traits upon the heart, their bonds of friendship don’t break. And yes, we do want you to have relationships with people aren’t Christ-followers. That’s how you learn to be salt and light in your world. Forming those relationships is the first step to making disciples. But your closest friends will be those girls who share your values, goals, and principles, who sharpen you, who speak truth into your life, and who walk closely alongside in life’s milestones, deepest joys, and darkest moments. I don’t mean to say that your friends should be exactly like you. Remember that the Bible tells us that differences are good – especially because God has fashioned each one of us uniquely. Our Creator could have made us exactly the same. 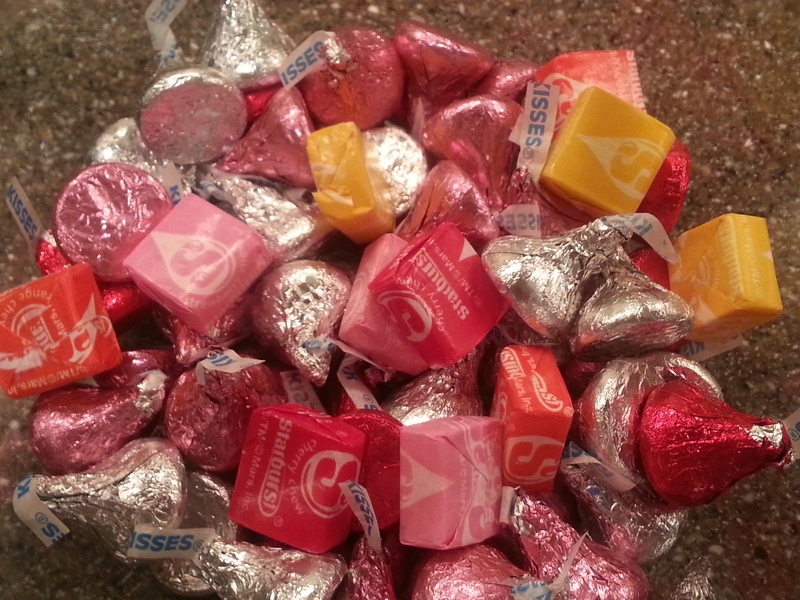 But a world filled with only Starburst would be too tart and totally boring! My dream for you, sweet one, is that you will choose friends who are one with you in purpose. Friends who help you grow up to be like Jesus. It’s cool if they like chocolate. It’s all right if their clothing style is different (as long as it’s modest). It’s okay if they have a different skin color or body type. Maybe you have friends who are on the honor roll and friends who can’t deal with geometry. Or friends who attend a different church. It’s cool to have friends who are into sports and friends who can’t stand P.E. class. It’s good to have friends who have way bigger or way smaller houses. That’s all okay. What matters, remember, is that your choice of friends is based not on sameness but on godly standards. If you choose friends based on sameness, it’s pretty likely that you’re going to get caught up in a clique. A clique is a distortion of community; it’s an exclusive place where girls (and guys, but mostly girls) jockey for position and power. This means that there will be gossip, jealousy, competition, and teasing. But – whether in a family, church, or a group of friends – communities as God intends are places of mutual respect, acceptance, humility, honorable accountability, and love. This seems like a really big goal, but sweetheart, you and your friends can live up to it. And in the inevitable times when you are hurting or lonely, remember that Jesus is truly your best friend. I really mean it – He will never fail you. Your Mom and Dad can’t love you as perfectly as He does, but we will do our best to fill our home with love, support, guidance, discipline (yes), and encouragement. We are so proud of the lovely young woman that you are becoming. Keep choosing well, honey. Categories: Being Christian in our Culture, Letters to my Daughter, Uncategorized | Tags: peer pressure | Permalink.